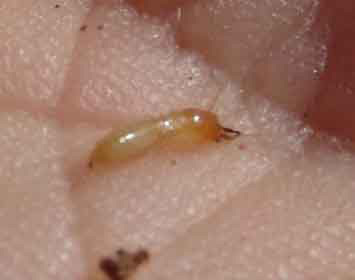 Soldier termites have a very distinct appearance from termite species to species. Soldier termite pictures can be used to help identify what type of termites are causing you problems. The soldiers may be hard to find, but if you pester the termites or cause some trouble with their nest, rest assured, termite soldiers will show up quickly to defend the colony. Using scents and vibrations they communicate they coordinate their activities to repel any invaders and protect the other termites. These pictures of termite soldiers show common soldier termites in North America; including subterranean termites, Formosan termites and dampwood termites. 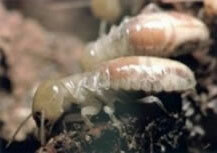 For more information about soldier termites, visit the soldier termite caste page. 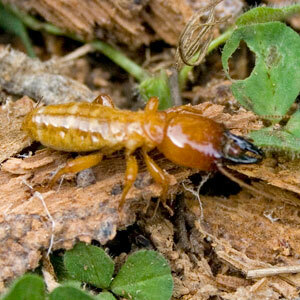 You can also find other termite pictures on our site. Subterranean termites are the most widespread termite species in North America, so subterranean termite soldiers are going to be the easiest termite soldiers to find. 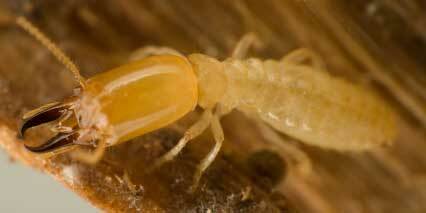 As you can see in the subterranean soldier termite picture to the right, these termites have an elongated head and large pincers. They can use their large head to block tunnels when the colony is in danger. 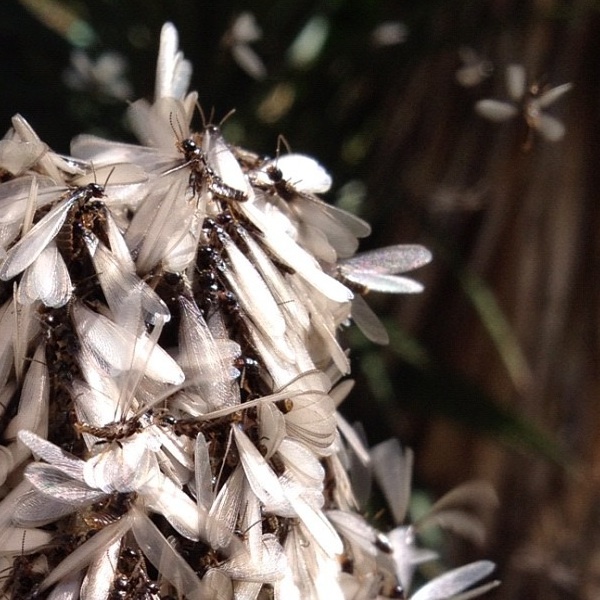 Formosan termites are an invasive termite species from Asia and are not native to the United States. They are a subterranean termite, but they are much more agressive then native termite species. They build bigger nests, cover more territory and have colonies that are 20% – 30% larger then native species. As you can see from the Formosan soldier termite picture on the right, Formosan termite soldiers have a teardrop-shaped head. They also have a large fontanel, an opening in the head for release of a secretion that they use when fighting. 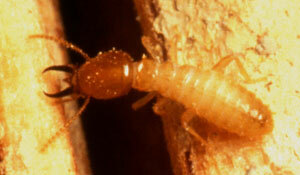 Since Dampwood termites work above ground and are exposed to more dangers from predators. Dampwood termite soldiers are bigger than other termite soldiers. As you can see in the Dampwood soldier termite picture, Dampwood termites are also darker in color, again, due to the fact that they work above ground. The members of their colonies are also in a lot more danger and they have more predators to defend against, so there tend to be more termite soldiers in a Dampwood termite colony.